This theme is also available in PSD Theme, VirtueMart Theme and Magento Theme. 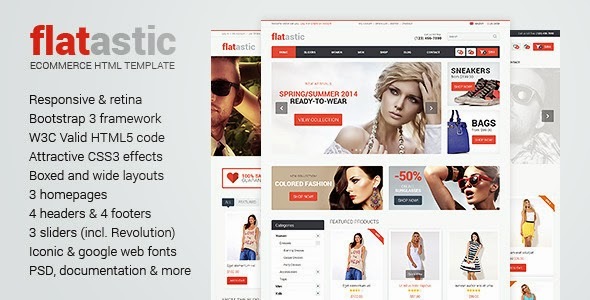 Item Reviewed: Flatastic eCommerce HTML Template (PSD, VirtueMart, Magento) 9 out of 10 based on 10 ratings. 9 user reviews.